Templar Eastern Giant - This giant, drawn for Templar Books, has six fingers, but it’s not an error. It was all part of the brief that asked for me to illustrate a traveller’s tale of oriental giants with more than the normal number of digits. | Flickr - Photo Sharing! 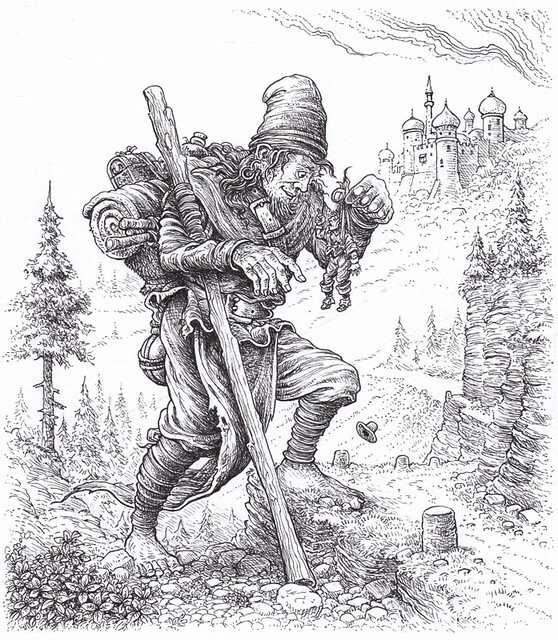 Templar Eastern Giant - This giant, drawn for Templar Books, has six fingers, but it’s not an error. It was all part of the brief that asked for me to illustrate a traveller’s tale of oriental giants with more than the normal number of digits.